Mindless vandals have torched play equipment at a Glasgow nursery leaving the toddlers who use it devastated. Shocked staff at Elmvale Nursery Class in Springburn discovered the charred remains of a climbing frame, picnic bench and rubber safety matting when they returned to work after the bank holiday weekend. 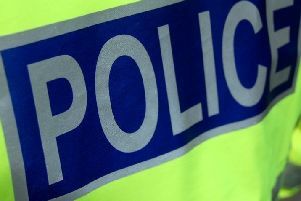 Around 70 youngsters aged three to five years attend the nursery class, which is part of the Elmvale Primary School building, but the upset tots are unable to use their own playground today (Tuesday, May 2) after yobs targeted their grounds. Gail Houston, Deputy Head of the nursery class, said: “The damage is really quite shocking. One of the staff showed me a photo but when I saw it for myself, it was horrible. “The people who did it obviously have no regard for the children who use it. It’s wanton vandalism. “The climbing frame and rubber matting are completely black and charred. “The children are really upset. They want to go out and play, but they can’t use their playground at the moment. “The climbing frame was very popular, the children used every day. It would cost thousands to replace it and the matting underneath. A spokesman for Glasgow City Council said: “It is such a shame that youngsters at the nursery have to suffer because of thoughtless vandals. “Everyone has been working hard to make the garden and playground look good. “The children love playing outdoors and they are so disappointed that they can’t use their playground today. The incident has been reported to Police Scotland.